For the fourth release on our journey, we reunited with our belgian talent Modulo. This time around he brought his friends Harmonious, Manfredt, Monotribe and Fons to deliver three delicate Originals, which explore the natural flow of life and the philosophical questions, that come with it. „The Panacea" introduces the EP with the last hints of sirens in a hectic city, fading over to bird sounds, crickets and an arrangement of beautifully build melodies, that invite you in for a ride with mother nature. Like „Mountain People" before, it will pull the right strings, to get you in an uplifting and emotional mood. 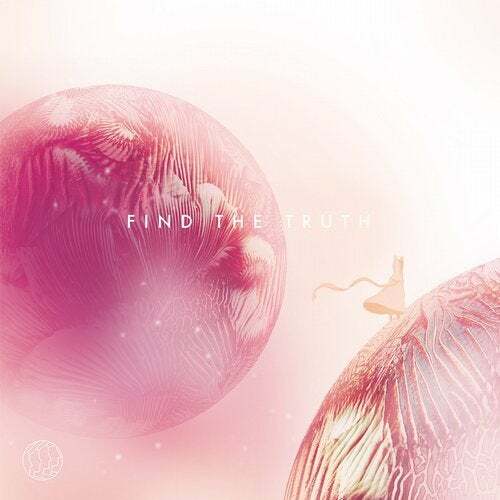 Title track „Find The Truth" continues to surprise with subtle and emotional melodies and adds broad pads, lovely flute progressions and hearthwarming sub-grooves, which lay in the center of the production and bring the unique touch to such a worthy title track. With an exciting evolution through the months, „With The Wind" has turned into a bliss production, that might be the most surprising inclusion in this package. A crunchy kick blessed with a melodic bassline hook and some wonderful harmonics, could stick in your head for quite a while, even hours after listening in. A production, crafted in such a subtle way, it's soundwaves quite literally go with the wind. To complement , but also confront the overall atmosphere of the Originals, our homegrown talent Quatri delievered two alternate versions to „Find The Truth". His „4AM" Remix gives a radically different perspective of the flute lead by mixing it into a techno-oriented environment. His „Nyarai" remix adds organic rhytm and percussions to Modulo and Manfredt's melodical craft, giving it a rather fitting tribal spin. As always, please enjoy and have some fun with this EP. Cover-Art designed by Giulia Gallizzi. Originals mastered by Robert Trifunovic. Remixes mastered by SmoothTone Mastering.